The FIRESCOPE program originated in Southern California, organized under the acronym, “FIrefighting REsources ofSouthern California Organized for Potential Emergencies” in 1972. By legislative action, the FIRESCOPE Board of Directors and the Office of Emergency Services Fire and Rescue Service Advisory Committee were consolidated into a working partnership on September 10, 1986. This consolidation represents all facets of local, rural, and metropolitan fire departments, the California Department of Forestry and Fire Protection, and federal fire agencies. Through this partnership, FIRESCOPE was established as a statewide program under the redefined acronym “FIrefighting RESources of California Organized for Potential Emergencies.” To further support FIRESCOPE’s statewide program, CALFIRMS (CALifornia Fire Information Resource Management Systems) in Northern California joined with FIRESCOPE as the Northern Operations Team. Under provisions set forth by Senate Bill 27, chaptered on October 2, 1989, under Health and Safety Code Section 13070, the Office of Emergency Services (OES), California Department of Forestry and Fire Protection (Cal Fire) and the State Fire Marshal (SFM) are to jointly establish and administer the FIRESCOPE Program. On January 1, 2009 the Office of Emergency Services (OES) merged with the Office of Homeland Security (OHS) under provisions set forth under Assembly Bill 38 and became the California Emergency Management Agency (Cal EMA). The FIRESCOPE program is intended to complete the legislative attempt to unify these various fire agencies together into one voice and direction. The character of this group is comprised of diverse fire agencies derived from the founding legislation. The synergy created by these diverse fire agencies truly provides valuable input to the Secretary of the California Emergency Management Agency (Cal EMA) in addressing the future of fire/rescue services in California and assures excellent representation for the continued development of FIRESCOPE products. 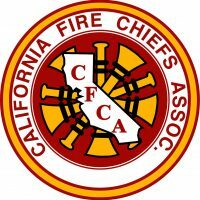 The organization/program of the Cal EMA Advisory Board and the organization/program of FIRESCOPE are to deal with mutual aid, cooperative agreements, and fire/rescue regional policy issues and to advise the Secretary of Cal EMA in matters of statewide importance. The decision-making process for these matters rest within a majority-rule process based on the size of the Board and limited discussion time; minority viewpoints are also forwarded to the Cal EMA Secretary for consideration.